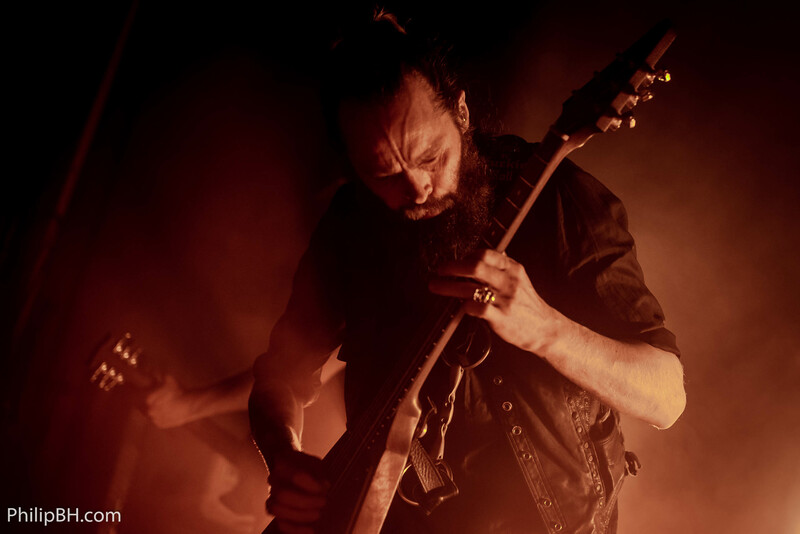 Almost exactly one year to the date, Sólstafir’s return to Copenhagen was always going to be judged against the magnificence of their previous concert here. But having just revisited the Icelandic quartet’s 2017 offering, “Berdreyminn”, I am not worried — if there is one band I can trust to keep raising the bar and pushing the envelope, Sólstafir would be it. The similarities to that last performance are not limited to date coincidence, however, as the band has also once again invited their countrymen and good friends in Árstíðir to provide support and ensure that fans will not be bored by a litany of similar artists, as is typically the case when agents put together these touring line-ups. 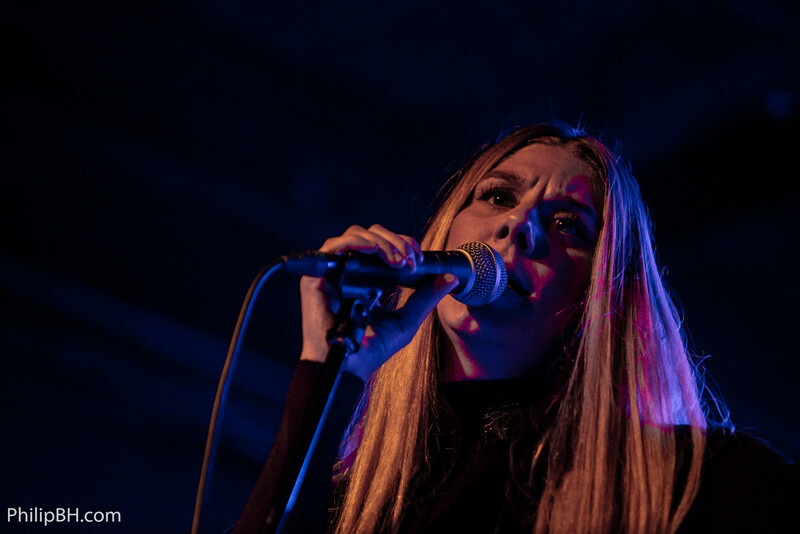 And even more variety is brought by the presence on the bill of Louise Lemón, who has been generating plenty of buzz after she was confirmed to appear at the 2019 edition of the iconic Roadburn Festival in the Netherlands. Lemón’s music has sometimes been referred to as ‘death gospel’ but if I’m honest, that term does not make a whole lot of sense when you listen to her music. Her style of singing is quite soul-inspired, verging on indie-pop at times, while the instrumentation, which is handled by former members of the Swedish cult artists Mother of God and Primal, has strong similarities to both Chelsea Wolfe and Emma Ruth Rundle. Indeed, especially like the latter, Lemón succeeds in attaching a poppish accessibility to slow, melancholy music, as perhaps best exemplified by her latest single, “Not Enough”, which has even some pretty grizzly looking metal sirs singing along at the top of their lungs. She has a stunning voice mind you, and although she probably knows that herself, she comes across as very humble and thankful in her brief interactions with the audience. Every “Tack!” (Swedish for “Thank you!”) is accompanied by a shy, girlish smile, and those smiles are also carried over to the various instrumental passages that sprout out of tracks like “Thirst” (from Lemón’s début album, “Purge”, released earlier this year). 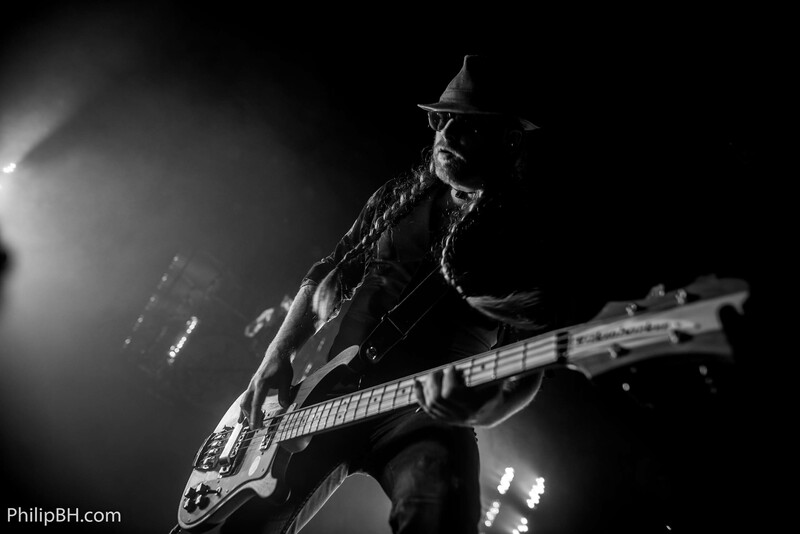 It is principally these instrumental segments that are responsible for Lemón’s appeal to those of us into heavy music, when the tone turns dire, the cymbals come crashing and the guitar melodies wail like cries of anguish. It is also here that Lemón’s companions put on their most energetic displays, with especially the Cattleman-rocking guitarist becoming lost in the throes of passion in these parts. It does all get a bit much when the keyboardist, who also provides overdubbing for Lemón’s singing at times, suddenly erupts out of his seat to scream, “This one’s for our good friends in Árstíðir!”, as Lemón exits the stage and the rest of the musicians finish the show off by… showing off. But while this strange spectacle makes me cringe somewhat, it does not take anything away from what has been a solid introduction to this hyped artist. Roadburn ’19 cannot come quick enough — to witness Louise Lemón on the main stage at the 013 venue will no doubt be magical! Although at first, the songs of Árstíðir may seem like far cries from what Sólstafir will play next, these two bands actually have quite a lot in common on top of their city of birth: Reykjavík. This quartet is just as apt an encapsulating the barren grandeur and loneliness of Iceland — they just take a softer approach to conveying that imagery. Árstíðir is best classified as an ambient folk act, albeit with touches of chamber pop and classical music spliced into their sombre sound as well. It is the sort of music that is best experienced with your eyes shut (which is what the four musicians also do for large swathes of their 40-minute concert), yet it would be doing Árstíðir a disservice to reduce their performance to something that you might as well listen to at home. 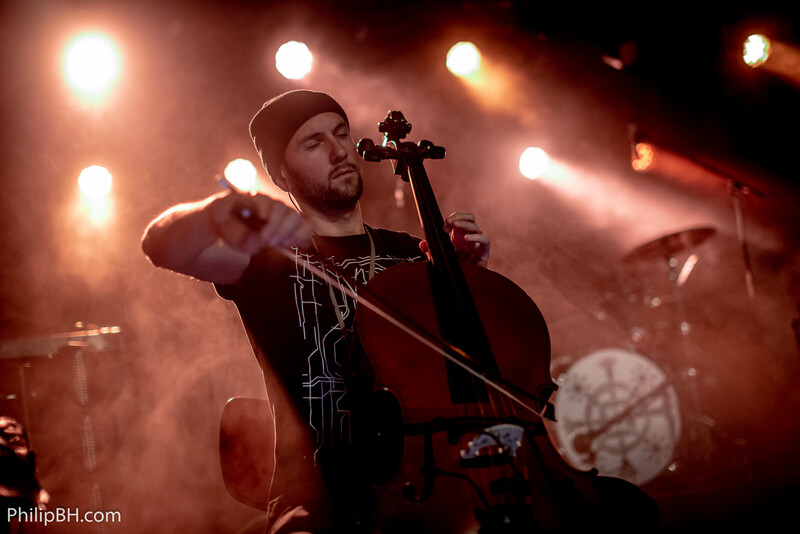 In the live setting, the band’s fragile compositions expand into a cinematic format, as exemplified by the second song, “Shine” (off 2017’s “Hvel”), underlining just how fantastically versatile the cello is as an instrument. The violin-esque wails, gentle string plucks and baritone vibrations add a captivating sense of drama to Árstíðir’s music, which is otherwise often characterised by fragile voices and chiming keyboard and acoustic guitar melodies — drama, which is heightened when Sólstafir’s drummer Hallgrímur Jón Hallgrímsson first mans the vacant drumkit for “While This Way” (a song taken from this year’s “Nivalis” album), and violinist Lotta Ahlbeck then joins the band for the rest of the set, starting with the excellent “Shades” (off 2011’s “Svefns og vöku skil”). It is this sense of drama and constant tension that makes Árstíðir such an intriguing band, and although their music is, at times, a bit too soft and sweet for my liking, I nonetheless understand the ambition behind it. There is not a whole lot else to look at than the impassioned expression worn by each musician as they pour their heart and soul into these songs, but if you close your eyes and let yourself be drawn into this epics of melancholia, Árstíðir’s music quickly achieves an almost transcendental quality. It took some time before Sólstafir opened up to me, both on record and in the live setting. But when the revelation came, the Icelandic cowboys shot straight for the upper echelons of my most treasured artists, and they have sat there ever since. What makes the band so enticing to watch live is that they engage their audience simultaneously in two dimensions: you’re sent into dreamland by the sweeping grandeur of compositions like the opener, “78 Days in the Desert” off 2009’s masterful “Köld”, but you also feel energised by the spirited showmanship of frontman Aðalbjörn Tryggvason in particular. If anything has changed in this respect (compared to last year’s concert at Pumpehuset that is), it is that Tryggvason and his cohorts seem to have turbocharged a performance that was quite invigorating in the first place. When his voice is not breaking and cracking from sheer emotion, he is making eye contact with members of the audience, leaning into the front row touting his ornately carved Flying V, or rocking out wildly amidst the turmoil of one of the many crescendos that rise out of songs like the spine-tingling title track to “Köld”, and the absolutely magisterial rendition of “Silfur-Refur” off “Berdreyminn” that arrives in its wake. 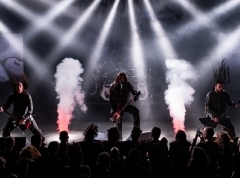 His antics are mimicked in the background by session pianist Halldor A. Björnsson and drummer Hallgrímur Jón Hallgrímsson, while to his left, bassist Svavar Austman looks and acts like a Viking Slash impersonator, and to this right, guitarist Aðalbjörn Tryggvason leans into a rig of LED lights to accentuate his customarily moody disposition. But while the physical and visual components of the performance are on point, it is above all the music that gives me the chills tonight. Graced by a nigh perfect mix and generous volume level, the likes of “Ótta” (the title track to Sólstafir’s 2014 album) and the rarely aired “Ljósfari” (off 2005’s “Masterpiece of Bitterness”) seem to usurp their towering selves on record and transcend the boundary between music and catharsis. Truly, Sólstafir has an understanding of how to create music that is epic, yet far from pompous, with material à la the symphonic “Hula” harbouring more an understated beauty than extravagant, power-metallic bombast, which embodies the word epic in a very different way. The only thing that might lift this rendition of “Hula” into an even higher dimension would be the procession of session musicians that contributed to it on record making a cameo, in particular so that Björnsson would not need to shoulder the responsibility of trying to sing in soprano in it instead of the actual Margrét Soffía Einarsdóttir. This, and the fact that discounting “Ljósfari”, the setlist is perhaps a bit too similar to the one Sólstafir brought a year ago, are the only nuggets of critique I am able to muster, however. Well, those and the fact that even though he denies it, Tryggvason delivers the exact same tirade about mental illness as he did last year, before “Bláfjall” in the encore. It is an important message to be sure, but it loses its power when it sounds like it is being read from a script. The fact that it arrives after a bout of evocative polyphonic singing by Tryggvason, Björnsson and the three vocalists of Árstíðir and eventually bleeds into the uplifting “Fjara” (off 2011’s “Svartir sandar”) makes the misstep easy to forget, however, and after “Goddess of the Ages” (arguably the mantlepiece on “Köld”) has swept over us like an avalanche as the final song of the evening, it is difficult to imagine anyone at VEGA having been left unimpressed by this volcanic eruption of a concert.